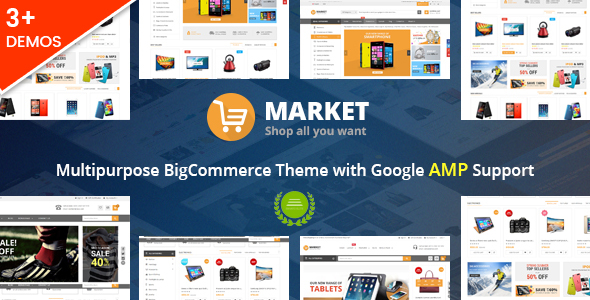 Market – A Professional, Clean and Super Fast Responsive BigCommerce Theme. 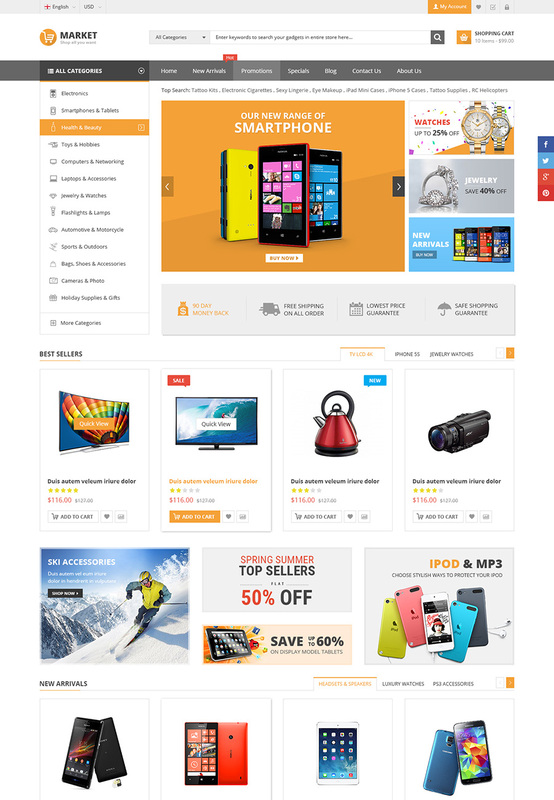 Market is one of the most beautiful Bigcommerce theme that is fully responsive, built with Stencil Framework & designed for multipurpose stores. 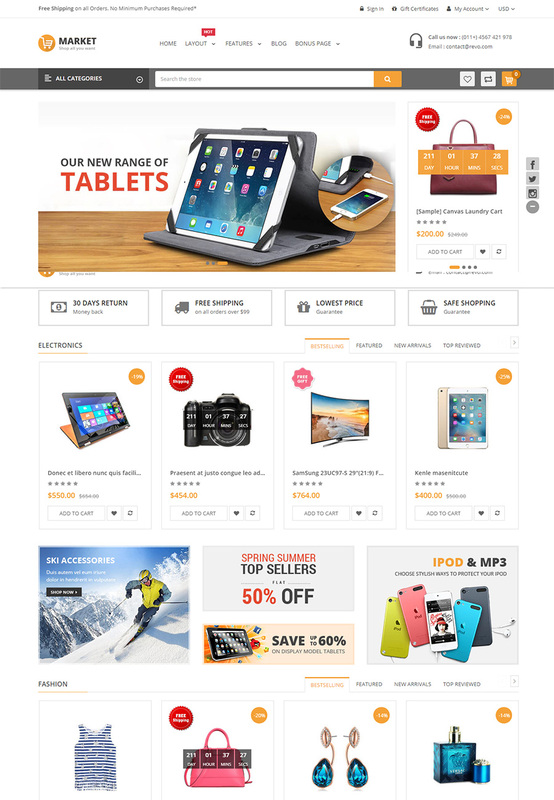 With 3 beautiful homepage designs, it looks modern, impressive and premium for any your option. 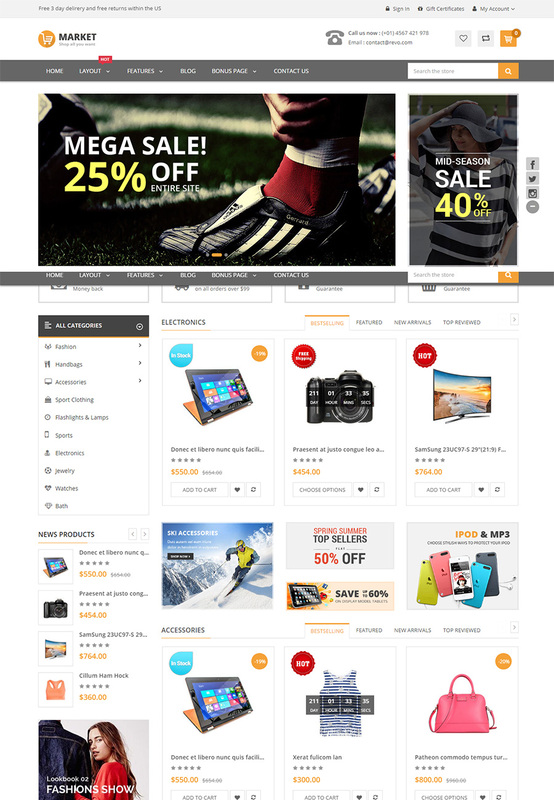 In addition, Market BigCommerce is the perfect & beautiful combination of minimal layout and trending features: Bootstrap 4.x, Advanced MegaMenu, Unlimited Color Options, Sticky Navigation, Product Badges, Google AMP ( your website will display super fast, instantly on Google Search results), Photoswipe & zoom and a lot of powerful features more. With bundles of built-in functionalities, a powerful admin dashboard and theme editor included, it is easy to install and configure everything in a few minutes. No coding skill required. . Certainly, with Market BigCommerce, your sales will be up bigger than ever!